Humans have been digging tunnels for centuries for water distribution and transportation. Tunnels have dramatically reduced the travel time and the cost of transportation of goods. The boring technologies continue to evolve, and we could see tunnels measuring over a hundred miles in length in the future, connecting cities and towns. Billionaire Elon Musk’s Hyperloop is one such ambitious project. Here we take a look at the top 10 longest tunnels in the world for trains and cars. The ranking below does not include any abandoned tunnels or those still under construction. Also, we have taken into account tunnels used for trains and cars, not water supply. Tunnels used for water distribution such as the Delaware Aqueduct in New York and Bolmen Water Tunnel in Sweden are much longer than the longest tunnels used for transporting goods and humans. Almost all of the top 10 longest tunnels for cars and trains are located in Asia or Europe. But we could see tunnels of unprecedented lengths in countries outside these continents in the future. This two-way road tunnel connects Aurland to Laerdal in Norway. It is the longest road tunnel in the world with a length of 24.5 kilometers (15.2 miles). Construction began in 1995 and the tunnel was opened to the public in 2000. It was constructed as an alternative to ferry and mountain passage during the winter season. It has been beautifully designed to improve safety, provide a unique driving experience, and reduce driver fatigue. Built in the Taihang Mountains of China, this railway tunnel is 17.3 miles long. It allows the Shitai Passenger Railway – which connects the capital cities of Hebei and Shanxi provinces – to cross the Taihang Mountains. Construction work started in 2005 and was completed in 2007. The West Qinling Tunnel is located in Wudu district of China’s Gansu province. Construction of the tunnel began in 2008 and it became operational in 2016. The 17.5 miles long tunnel allows the Chongqing–Lanzhou Railway to cross the Qinling Mountains. The Guadarrama Tunnel was built in the Sierra de Guadarrama mountain range to reduce the travel time between Madrid and Segovia. It was opened for traffic in 2007 after five years of construction. It has reduced the travel time between Madrid and Segovia from more than one hour to just 30 minutes. The tunnel has two tubes, each of which is 17.6 miles long. The New Guanjiao Tunnel is 20.3 miles long and opened for traffic in 2014. It is the longest railway tunnel in China. 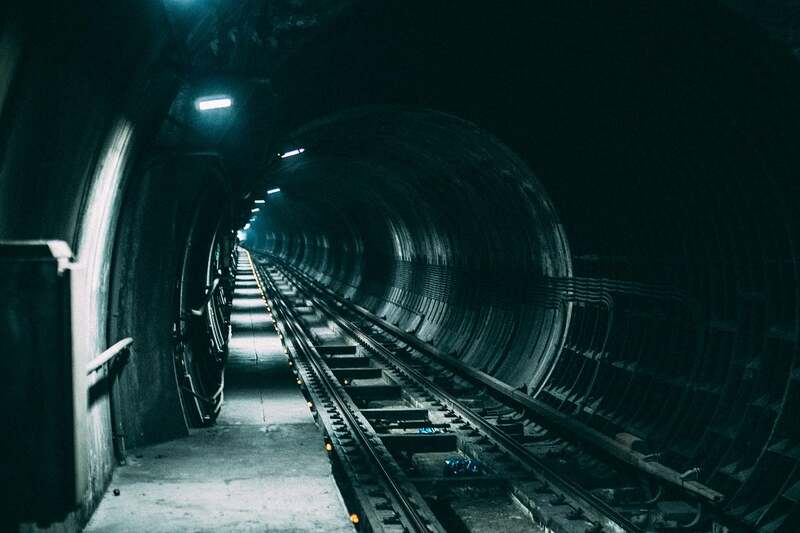 It’s a dual-bore, dual-rail tunnel in Guanjiao Mountain in China’s Qinghai province. The tunnel was constructed between 2007 and 2014. The Lötschberg Base Tunnel is a 21.48 miles long railway base tunnel in the Bernese Alps mountain range of Switzerland. Work began in 1999 and it opened for traffic in 2007. It was built as part of Switzerland’s New Railway Link Through the Alps (NRLA) project to reduce the lorry traffic on Swiss roads. This rail tunnel in South Korea’s capital Seoul is 31.3 miles long. It accounts for roughly 82% of the Suseo High Speed Railway line that connects Seoul to Pyeongtaek. This single-tube, double-track tunnel took three years and five months to complete. The Yulhyeon Tunnel opened for traffic in 2016. The Channel Tunnel is used for both passenger and freight traffic. This 31.3 miles long tunnel connects Folkestone in England to Sangatte in northern France. Its underwater section is 23.5 miles long, extending below the English Channel at the Strait of Dover. It opened for traffic in 1994 after six years of construction. While the construction work began in 1988, the original idea for a tunnel under the English Channel was proposed by French engineer Albert Mathieu back in 1802. The underwater tunnel in the Tsugaru Strait links Japan’s main islands of Hokkaido and Honshu. It is the longest underwater tunnel in the world at 33.5 miles. It is a railway tunnel designed for mass transit. Until the opening of the Gotthard Base Tunnel in Switzerland, it was the deepest and longest rail tunnel on the planet. Construction work on the tunnel began in 1971 and was completed in 1988. It cost the Japanese government $7 billion to construct, about 12 times the original budget. The 35.4 miles long Gotthard Base Tunnel is the longest tunnel in the world. It runs under the Swiss Alps and has a depth of 2,300 meters, making it the deepest tunnel on the planet. It cost the Swiss government $12 billion and took 17 years to build. It became operational on December 11, 2016. It offers a high-speed rail link between northern and southern Europe, revolutionizing freight transport in Europe.